Venue and Catering Markovina Vineyard Estate, Hair and Makeup Kelly Ren, Brides Dresses and Bridesmaids Dresses Hera Bridal, Brides Shoes Badgley Mishka, Mother of the Brides Dress Modes, Suits Tailormade Suits, Rings Albany Village Goldsmith, Celebrant Ross McCook, Photographer Dreamlife, Cake Evie Smith, Entertainment Stephan Summertime, Transport Michael Neville. Nothing but pure love as these two beautiful soul mates became husband and wife at Markovina! I love watching the process of the wedding day unfold as we film. But more than that, I love watching as Grayham creates these truly magical films, like portals to the wedding day itself. Our wedding films may not include every minute or every hour of an entire wedding day, but all the joy and love and butterflies are all bundled up in such an amazing way that you can feel the essence of everything and everyone! Kurdee had the most glorious wedding gowns for her wedding day (yes – gowns, plural!). 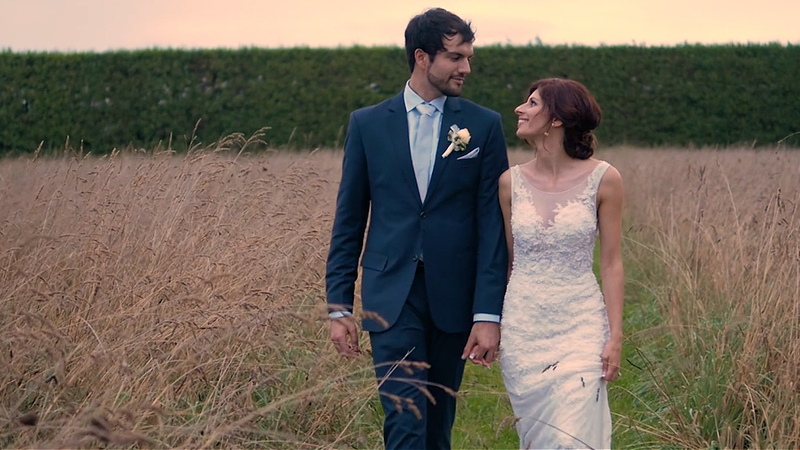 She has an absolute passion for them, reflected in her role at Hera Bridal. Not needing to settle with just one, she chose three. One she chose for her Groom, which she knew he would love, one that she loved, and one for her first dance. Israel and Kurdee’s Markovina wedding took me back a few years to when we filmed her sister’s wedding at the same venue. It’s so lovely to see past couples, still looking like newlyweds, familiar family members, and the same kids looking not-so-small anymore. Congratulations to you both, it was a privilege to be a part of your day!